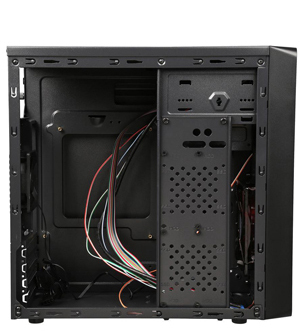 The DIYPC MA01-R Mini Tower Computer Case is a budget-friendly choice for any DIY enthusiast. 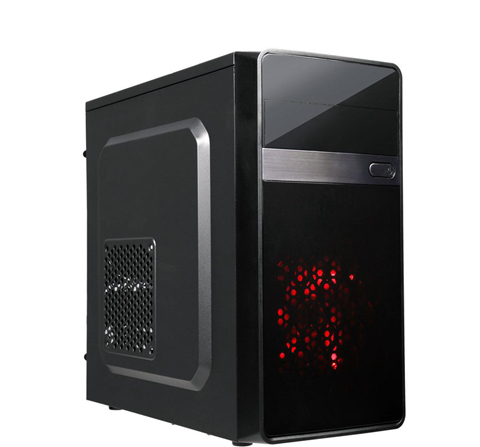 It comes in a mini form factor but doesn’t make any compromise whether on hardware compatibility, expandability or cooling performance. Plus, it provides easy-to-access top-mounted I/O panel and boasts radiation protection design. Don’t be fooled by its mini tower form factor. 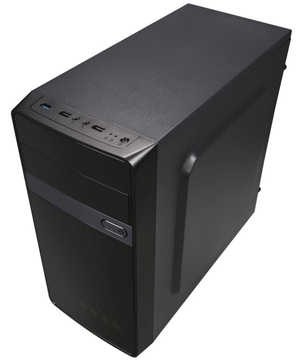 The DIYPC MA01-R provides roomy interior space to accommodate your components. 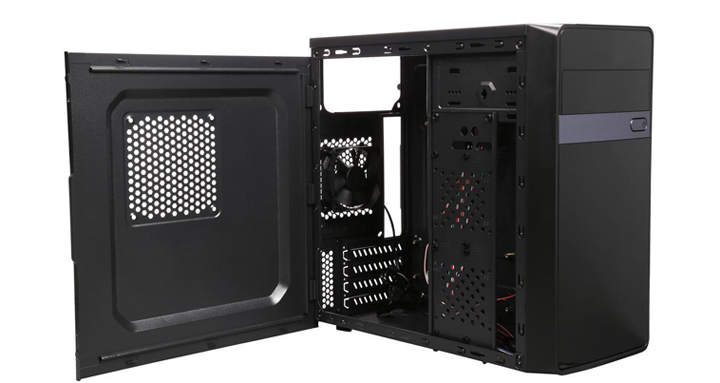 In addition to support for Intel and AMD Micro ATX motherboard, it accommodates graphics cards of up to 315mm in length and CPU coolers of up to 147mm in height. It supports standard ATX PS2 power supply (not included). The DIYPC MA01-R provides multiple drive bays to install your HDDs/SSDs and features a total of four expansion slots, offering the perfect level of expandability you desire. With the ability to support three fans (two fans preinstalled), the DIYPC MA01-R can produce voluminous airflow to keep your system cool. Also, the DIYPC MA01-R features Intel TAC 2.0 thermal solution – the side panel with mass ventilation holes delivers excellent heat dissipation performance, thus strengthening thermal efficiency. The top mounted I/O panel offers one USB 3.0 port for up-to-date high speed data transfer, two USB 2.0 ports, and audio in/out jacks. With radiation protection design, the DIYPC MA01-R is safe for daily use and environment-friendly. The mini tower form factor seamlessly fits into any tight space. 13.20" x 6.80" x 14.00"